So, if you have been wondering how you can use your ethernet cable to get better connection speeds over your home network, here is a guide to selecting the best ethernet cables for your setup. You may be under the impression that all cords are created equally, providing similar connection speeds and reliability regardless of age. The truth is that there are quite a few different types, each performing remarkably different from the others, and depending on what network hardware you are running, these differences could completely transform your home network for the better. What Speeds are you expecting? Before purchasing a network cable, if you want to get the most out of it, there are a few crucial matters to consider first. How compatible is your current hardware with the cable you are interested in? Is the price worth it? What kind of speeds are you expecting for your internet connection, and how much strain do you put on your local network in terms of file and information transfers. Then, of course, there are the aesthetics to consider. Where will you run the cord? How long will they need to be? And, how much will you need them to be concealed? One of the main reasons you would opt for a wired connection over a wireless one is that you are probably looking to take advantage of higher speeds and better stability in your connection. While even outdated Cat 5 wires are often quicker than wireless connections, you may find that their performance is a little underwhelming, in which case a Cat5e or Cat6 would be more to your liking. However, as far as your internet connection is concerned, the speed of your connection will be determined or limited by the router you are using. How compatible are ethernet cables with your router? 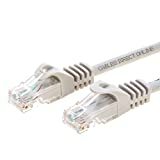 While Cat 6 network cables are backward compatible, they will not provide you with speeds as advertised if your router or ISP is already limiting your connection speeds. Since the bottleneck is taking place in your actual router, no amount of high-speed cordare going to get you quicker speeds. However, if you are using a router that can get speeds between 1Gbps and 10Gbps, you’ll want a higher category cable to maintain those speeds (I will speak a little more about these categories later). What about your home network? Most users of high category network cables will notice the difference in their home networks. This means that streaming media over the network can be done with fewer interruptions, information, data, and files can be transferred between devices on the network far more quickly, and you will also be unlikely to experience any lags during LAN (local area network) multiplayer gaming. However, if you rarely ever use your local network in this way, you may find that higher category cords are not just unnecessary, but a needless expense as well. Lower category cables are generally sold for cheaper than lower ones, but the price difference per 100 meters often only totals up to a few dollars. Since Cat 6 cables are backward compatible and come at only a slightly higher price, the choice of whether or not to go Cat 6 often feels like a no-brainer. However, they too have their drawbacks which I will discuss later, which means they aren’t ideal for use in every situation. Do you need to conceal the wires? The slap-dash clutter of wires that haunt every office space and the computer room is the bane of many households, which makes it understandable that users often want a solution that can be easily concealed either in the walls, the ceiling or under a carpet. The ease at which this can be done has a lot to do with a cable’s thickness and flexibility. Higher cat cables are generally a lot thicker than lower ones and are substantially more difficult to maneuver. So even though they may provide better performance at only a slightly higher price, they might be a nightmare to set up and conceal in your home. For this reason, you might prefer to opt for lower cat cables that still give decent connection and transfer speeds over your network, but are far more easily concealed for aesthetics and even protection. The choice of which category to use will also depend largely on how you use your home network. High bandwidth activities such as in-home streaming or online play would require a cat5e cable at the very least, while cat 6 ones would be ideal. However, if you are just browsing, checking emails and doing some online chatting, a high category cable would just be overkill (although when has that ever been a reason to settle for less). Before we start, here are some basics on all types of Ethernet cables. They are twisted pairs of insulated cables that connect to LAN ports in routers to provide a direct connection to your PC, Mac, game consoles or home theater to provide staggeringly higher speeds and more reliable connections than wireless networks. For basic home networks, Cat 5 cables (when measured in lengths of up to 100 meters) provide very basic connection speeds of between 10 and 100Mbps at a low frequency of 100Mhz. 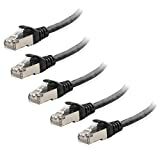 Being a particularly old type of connection, Cat 5 cables are rarely suited to high-bandwidth tasks and are generally not a good investment regardless of your needs. They are only moderately cheaper than newer products, so not even the saving is worth it. However, they still serve their purpose for simple networks as well as for the transfer of video and telephone signals. Remember though, that if you are using a particularly outdated router that can’t reach the speeds that a Cat 5 cable provides, there is generally no need to go for something with higher speeds. Still, if you are ever looking to upgrade that old router, you’ll need cables that can get the most performance out of it, so investing in a category higher than 5 is generally worth your while. Cat 5 cables are some of the most affordable connection options out there, partly because of how long they have been around and partly due to the limitations of their performance. Because of this, they are generally a good choice for households on a budget that has no use for high capacity networking. Cat5 cables are also versatile and flexible in comparison to other types since they are less dense, making them ideal for multiple applications and easy concealment. They can also be used to connect PCs to wall sockets, but can also be used for telephones and entertainment systems. Since cat5 cables only operate at a maximum of 100megabits per second, they are incredibly limited in terms of transfer speeds, both on the web and your local network. While their performance might depend heavily on your router’s capabilities, a strong router will be limited by a cat5 cable. Interference is a common problem with cat5 cables, making them very sensitive to disturbances caused by other electronic equipment such as phones, stereos, televisions and wireless signals. They can even pick up on signals from other cat5 cables, creating cross-talk which can seriously decrease transfer speeds. Having said that, these cables are ideal for small, simple network setups that make little use of transfers and have no need for high-band capacities. If the most you do with your connection is surf the web and check emails, then a cat5 is fine but is still not ideal. Cat5e cables provide vastly greater speeds than their cat5 predecessors, which is just one of the reasons why it replaced the popularity of cat5 in around 2001. With compatible routers, they can provide connection speeds of up to 1Gbps which is vastly more impressive than cat5, and the best part is that there is virtually no difference in price per 100meters. However, cat5e is still a fairly outdated solution, and so its applicability will be determined by its benefits and drawbacks. Cat5e cables can perform up to 10 times faster than cat5 cables, providing up to 1Gbps. This makes it ideal for homes or offices with high bandwidth needs whether online or their local network. Cat5e provides better protection against electromagnetic interference which could lower your connection speed and quality thanks to additional insulation. Cat5e cables are quite a bit more affordable than Cat6 or Cat6a cables, but still provides amicable performance in comparison. For agreeable performance, the length of a Cat5e cable should never exceed 100m (which is arguably more than enough length for homes and most offices. Anything more than that and you will start seeing drastic declines in performance, reliability, and speed. Of course, by connecting repeaters to the network, you can extend this range significantly. Since Cat5e cables are far less robust than Cat6 and Cat6a cables, they tend to contend with quite a bit more interference than the higher category cables. Interference is the result of how tightly wound and how well insulated the cable is, and with regard to this, cat5e simply cannot hold a candle to cat6 or higher. These properties make cat5e cables ideal for large homes or small offices with intensive bandwidth needs. Whether you are transferring large sums of data over the local network or are looking for greater connection speeds to the web, cat 5e is a great-middle-of-the-range option. 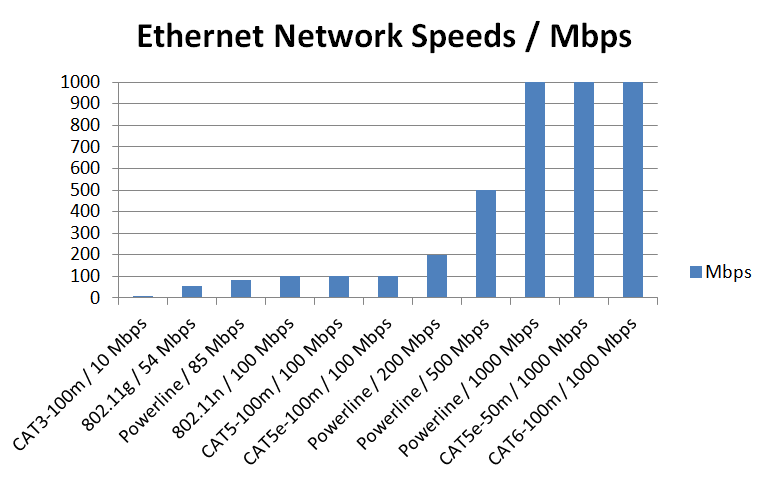 However, for those networks that are extremely complicated, large or situated in an area with high bandwidth activities, cat5e may not be quite enough. 10x faster than it's predecessor. Speed is decreasing after 100 meters. Super-flat Cat5e cables offer most of the same advantages that cat5e does but are specifically designed for maintaining the aesthetics of your home or working environment. However, the performance to aesthetics ratio makes it applicable for very specific situations, while providing a little bit less in the way of interference protection. While they are able to transfer data rates of up to 1Gbps, their flat design makes them a little more susceptible to interference from electronic equipment and other cables in the vicinity. But if that is the case, then why opt for a flat cable in the first place? The flat design makes it fairly simple to conceal the cable either under a carpet, in the ceiling or behind a wall. Since an abundance of rogue cabling is irksome to most households, this presents a quint solution to protruding wires in the home or office. They provide data transfers of up to 1Gbps, enabling you to get the most out of connection speeds and stability while surfing online, streaming, gaming and sharing content. These results are of course subject to the capabilities of other devices (such as the router) which are associated with the infrastructure of your network. The cable’s flat design makes it simple to set up neatly or to conceal beneath skirtings, under carpets, behind the walls or in the ceiling. This makes it ideal for those setups that pay a certain amount of attention to aesthetics, and for those who are sick to the teeth of tripping over wires. However, despite these advantages, flat Cat5e cables have a major disadvantage when it comes to filtering out interference. An ethernet cable’s ability to combat interference has a lot to do with how densely the wires within are wound around each other. Since flat cables leave very little space for this, they tend to deal poorly with interference. Very small, but might actually be considered a pro if you need the cable to be small. Cat6 cables are a relatively new addition to the ethernet family and outstrip the performance of its cat5 predecessors significantly. When measured in 100m lengths, these cables can easily provide the 1Gbps transfers offered by cat5e, but have the added benefit of pushing itself to 10Gbps when measured under 55 meters. They also operate on a much higher frequency than cat 5 cables (250Mhz to be exact), which goes a long way towards eliminating and limiting interference from electronic devices. They do tend to cost quite a bit more than the cat 5 cables, but if your network can provide the speeds that they offer, then a cat6 cable is well worth it. If not, you are only going to better the transfer speeds associated with your local network. 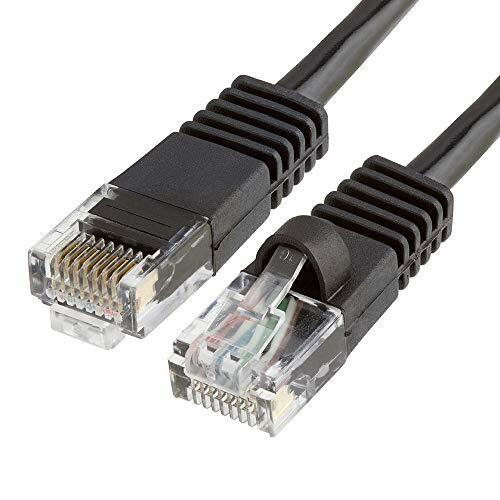 Cat6 cables are backward compatible, that means that they can be used even on older routers and switches. While they might not boost the speed of your connection in such cases, they will eliminate interference and greatly increase the speeds of your local area network. Cat6 can provide a staggering 10 times the transfer rates of cat5e cables, making them perfect for homes or businesses with high bandwidth needs. The use of higher frequencies to eliminate interference from other LAN cables and electronic devices automatically makes this a better bet than cat5 or cat5e cables. 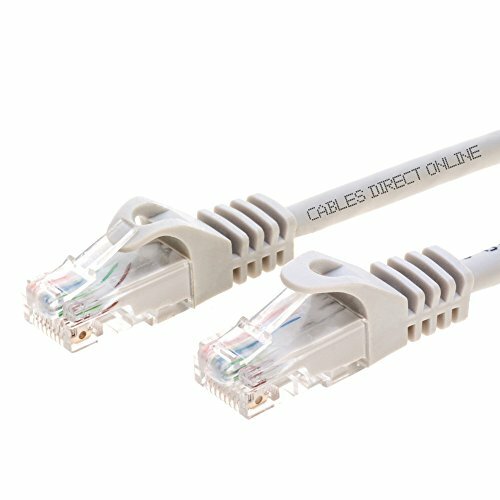 Cat6 cables are notably more expensive than cat5 or cat5e cables, which is not a problem if you get major results in terms of connection speeds. However, if your router or ISP doesn’t allow you to reach speeds supported by cat6 cables, you will definitely feel like you’ve wasted money on it. Cat6 cables will only provide you with speeds that your router and internet service provider can give, so don’t expect it to boost performance on older devices. Remember that if any of your network components are not gigabit rated, your network can only operate as quickly as its slowest device. Amazing speeds suitable for where it's needed. You won't need it if your ISP has slower speed. Category 6a ethernet cables give you much higher speeds and reliability than any of the abovementioned ones, and is about as good as you can practically get without using fiber optics. These cables are definitely more suited to complex office networks, but it is not unheard of to see them in residential setups. 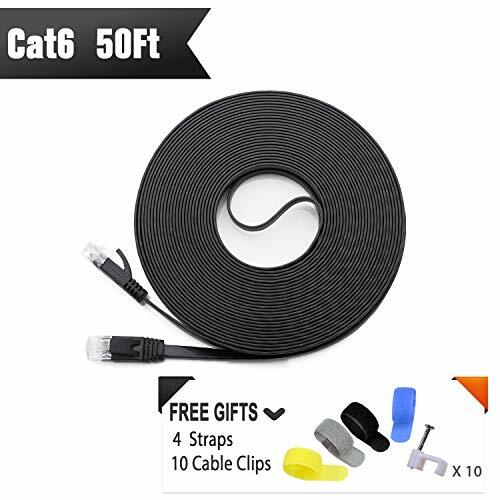 When measured by 100meters, Cat6a cables can provide you with connection speeds of up to 10Gbps (as opposed to cat6 cables which can only do that with 55 meters of cabling). Another major feature of cat6a cables, is that they operate on 500Mhz, which practically eliminates all local interference which could have a negative impact on the quality of your network connections. These cords are ideal for large setups where the transfer of data across the local network is as crucial a task as being able to connect to the web. Media houses, large businesses and any other firm that would need to transfer incredibly large files on the daily, and have the infrastructure to take full advantage of cat6e cables, would love cat6a cabling in their office spaces. For the average household, however, it’s a bit like getting John Rambo to take part in a school fight… utterly unnecessary, expensive and downright wasteful. 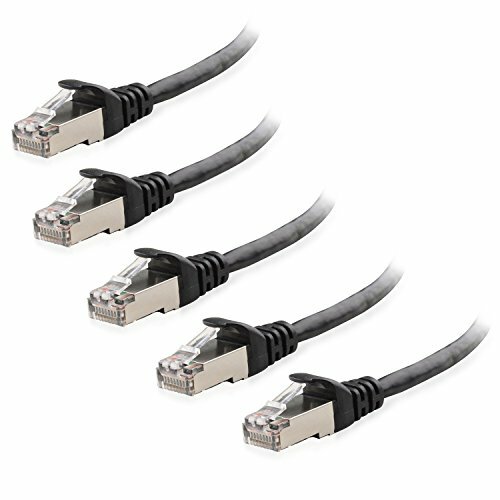 Cat6a cables provide much higher speeds at greater lengths than any one of its predecessors. This makes it ideal for extremely high bandwidth tasks whether over the net or the local network. Reliability and lack of interference is also a huge plus with these cords since they eliminate interference on a 500Mhz frequency and are also more robustly wound to further eliminate electronic interference. The robustness of cat6a cables makes for a double-edged sword. Sure, they might be better at limiting interference, but the size and stiffness of the cords make them difficult to work with, move around or conceal. Cat6a cables come at a much higher price than any of the abovementioned products, and quite frankly, they perform so well that they are rarely suitable for residential use. As it is with the cat6 cables, why would you pay more for something that you can’t get the full benefits of if your network hardware is not up to par. It's bigger in size than normal. It stands to reason that when it comes to gaming, you’ll get the most performance out of those cords that can transfer data at the highest speeds while eliminating as much electrical interference as possible. 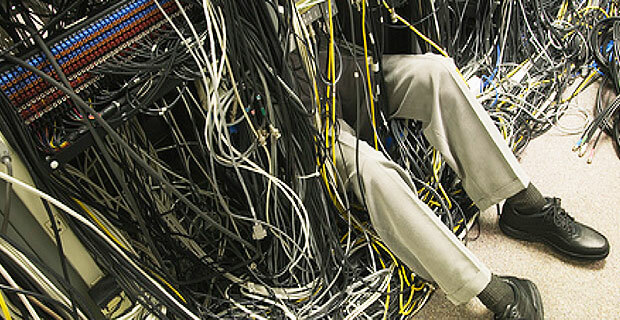 To this end, avoiding cat5 cables is fairly logical, but not because they don’t provide enough bandwidth. In general, online games require very little bandwidth, so much so that in most cases a 1mb line is ample. Since all cat5 and cat6 cables measured at a 50m can provide these speeds without an issue, the type of cable that you select will depend on how much protection from electrical interference that it provides. There is a problem with your local network infrastructure. Someone else on your network is sucking up all your bandwidth. The problem could be on the side of your ISP. The host server is taking too long to ping either from problems on their side (such as full servers), or you may need to select a server from a different location. However, obtaining the appropriate ethernet cable will almost certainly make a difference. Cat5 cables, while providing ample data transfer rates, offer almost no protection against electrical interference from outside sources. Since you’ll be connecting them to PlayStation 4s or Xbox Ones, you can expect to get electrical interference from a multitude of appliances such as TVs, sound systems, or even power outlets. Cat5e provides significantly more throughput that cat5 cables, and because of this they are suited to online gaming in environments where bandwidth is shared across multiple devices. 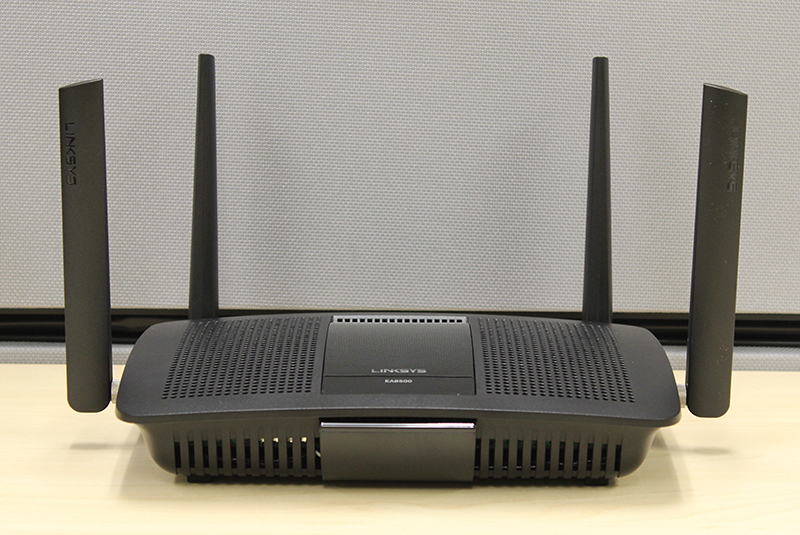 Since they provide connections of up to 100mbps, they can provide smooth, lag-free play even when other people in the home are streaming or downloading. They also offer significantly more protection from electrical interference than cat5 cables, making them better suited to gaming consoles that are surrounded by other appliances. If you're looking for a general option for gaming purposes you should know that the Cat5e is considered the standard choice as the best ethernet cable for gaming. Cat6 cables will give you 10-gigabit connection speeds across your network, which means there is virtually no chance of not having enough bandwidth for online play, no matter how intensively your home uses the internet, or its local network. They also provide much better electrical interference and can be used effectively at greater lengths than cat5 or cat5e cables. All this also comes at a much better price per meter than cat6as, which although offer better performance, is quite expensive and unnecessary in most cases. For home setups, cat6a cables might be a little overkill, but they do have their place in complicated network setups. So, if your network at home is supporting a multitude of bandwidth-heavy devices across a large area, then you may find that cat6as are completely necessary. They provide much greater protection from interference than any of the above-mentioned cables, which is a big plus in terms of connection reliability during play but are also perfect for gaming consoles that require more than 50m of cable to connect them to the router. While other cables begin to take losses in reliability as they get longer, cat6as can provide up to 10gbps on 100m strands. They are, however, quite pricey, and since your connection speeds will be limited to your existing infrastructure, you should carefully consider whether you would actually benefit or not from using cat6a cables. In most instances of online gaming from consoles, cat5e and cat6 cables are generally considered the best ethernet cable for gaming. Since Xbox One and PlayStation 4 games are generally not bandwidth heavy and rely more on your proximity to their servers, you’ll want a cable that provides good protection from interference and value for money rather than data transfer speeds. Determining which of the above ethernet cords is the best one to go with depends largely on your connection requirements, as well as the infrastructure you have on hand. As a rule, you’ll want to avoid Cat5 cables where you can due to their limited performance and interference protection. Cat5e cables are a bit more suited to home networks, especially considering the price. In general, they provide ample speeds to keep up with your router’s capabilities, but still battle significantly with interference under certain conditions. Cat6 and cat6a cables might be the ultimate solution for incredibly fast and reliable connections, however, they tend to outperform the average home network, making them an unnecessary expense for the average user. Because of this, I would have to vote that either cat5e or cat6 cables are ideal for just about any situation, especially considering cat6 is backward compatible. For the price, cat5e will provide you with more than ample connection speeds, won’t leave your home looking like an industrial location, and isn’t nearly as expensive as cat6a cables. This makes them the better choice for all-around network setups. Hopefully, this has helped you determine which ethernet cable would suit your home or office network the best. With so much to consider when setting up a home or office network, knowing which cords are suited to which situation is a big help. We hope that we demystified which are the best ethernet cables for maximum performance. Did you find this article interesting or helpful? Is there anything I have left out? We would love to hear your opinion. 1. That you try to get pure copper conductors and not CCA which is Copper-Clad Aluminum. 2. If you anticipate the cable moving around, even if it isn’t often, I would use stranded. 3. If it will be enclosed and unlikely to move around then solid is your best bet.